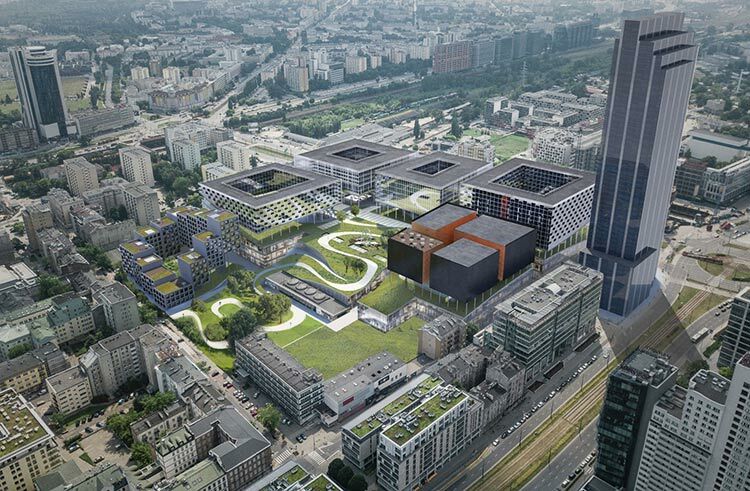 One of the world’s leading architectural firms is set to revive a decrepit corner of Warsaw as part of a project funded by EPP and Echo Investment. Already known for cutting edge designs such as Lego House (Denmark), Two World Trade Center (USA), and Google HQs in LA and London, BIG, an architectural studio founded and fronted by the award-winning Bjarke Ingels, revealed their plans for Poland at March’s MIPIM real estate fair held in Cannes. At the center of this development will be the historic Dom Słowa Polskiego building, a printing house that grew to become the largest in Poland during the communist period – throughout the 70s, approximately 27 million books, 510 million newspapers and 195 million magazines rolled off the presses here each year. Finally liquidated in 2010, the plot had since fallen into steady decline. Covering a usable area of 230,000 sq/m, the project envisions the full renovation of Dom Słowa Polskiego, with modernist 1950s details such as its skylights and spiral staircases restored to their prime, and the introduction of an “archipelago of inter-connected gardens and public spaces.” Fully integrated into the fabric of the city, the finished concept will also see a section of ul. Wronia covered with a glass ceiling and the ground level in-filled with bars and restaurants. 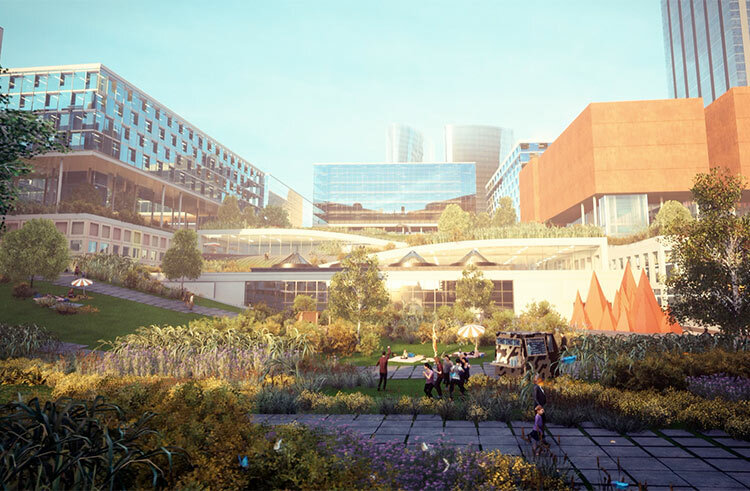 “When designing Towarowa 22,” says Bjarke Ingels, “we drew from the rich cultural history of Warsaw to create a contemporary neighborhood with a lasting value for the future.” As such, further innovations will include a theater, a Museum of Print, and a cinema facility with the capability of hosting major premiers and film festivals. As things stand, much paperwork still needs to be filed, however, Echo are hopeful that the masterplan will be adopted and the relevant building permits issued in the near future. Should that happen, building work could begin as early as next year with the one-stage project taking around five to six years to fully implement.